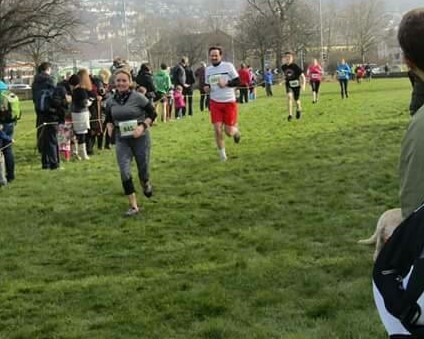 Sunday saw the annual Keighley BigK, an event held every Mother’s Day and once which has over the past ten years raised over £350,000 for the Sue Ryder Manorlands Hospice in Keighley. 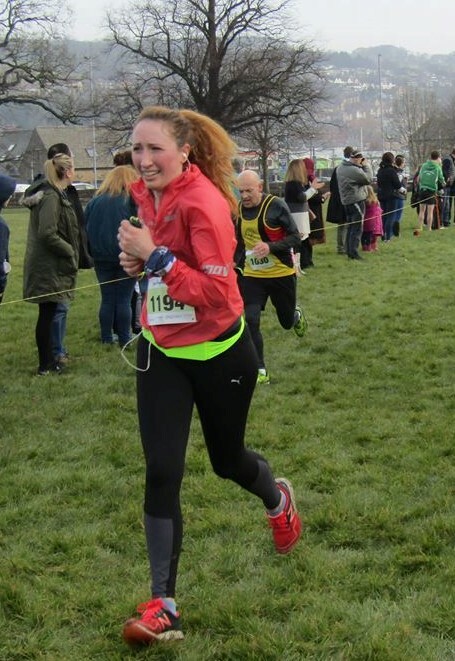 With 10k and 5k races on offer it’s one that attracts competitors from far and wide, and the 10K race this year saw 754 runners line up at the start, among them two Pumas, Katrina Wood and David Collett. Katrina ran this 10K race last year and finished with a time of 58:29, so she was hoping to go better this time around, whilst David, who was last seen running the coastal walkways in the Great North West Half Marathon at Blackpool in February, was continuing with his training for the London Marathon, now just over five weeks away. Katrina is all smiles as she poses for her own selfie. She would have a bigger smile when she finished…or would she? In a nutshell, the Keighley BigK is a challenging 10K (or 5K) which starts and finishes in Victoria Park off Bradford Road. It follows a clockwise circular route through the paths, parks and roads around the Keighley town centre, initially taking in Low Mill Lane, Great Northern Road, Worth Way, Mariner Road and Malsis Road before entering Lund Park. Exiting at Exley Street, the course continues on Arncliffe Road then left onto Fell Lane before climbing up Holme Mill Lane and entering woodland that rises to 154 metres, descends then rises once more. Crossing the fields at the top of North Peak, the course picks up North Dean Road, crossing West Lane and continues along Edensor Road, eventually picking up Cartmel Road and the drag that reaches its zenith at 166 metres. The course swings around and cuts through the greenery of Devonshire Park before crossing over Spring Gardens Lane and running through the grounds belonging to Cliffe Castle, circumnavigating the castle itself then into a nice downhill stretch that follows the line of trees and comes out at Skipton Road. Crossing this, the course continues on the other side of the valley, going over the railway line at Royd Lane, then there’s the run for home along the cosy tracks through the trees, along Royd Ings Avenue, then finally turning into Alston Road before re-entering Victoria Park and the dash towards the finish line. David checks his watch and finds he’s good to go. The race started at 9.00am, and both our runners were back well within the hour. David had the honour of being #FPH, in 49:47, a time which he tells us is a personal best for him over this distance. He’s well on track for that London Marathon, especially after recent training in sunnier climes abroad. Katrina had a fantastic run, too, and after all the hard work she’s put in was rewarded with a time of 53:38, almost five minutes faster than that of twelve months earlier. There were fifty-one runners in her age category, which (and I know you’ll find this hard to believe as she looks so young, is Female 50) and of these she finished FOURTH. Katrina obviously sets herself big targets, for while most would have been rightly proud of finishing so high up the order, she felt a tad downbeat by not finishing in the top three, thereby missing out on a gong. The general consensus was that she was been too hard on herself. Almost there. David follows in Joanne Adams. She’s not in her Pumas top, but that’s definitely our Katrina approaching the finish line. I’ve a feeling there’ll be more Pumas tackling this event in 2019, and Katrina highly recommends it. 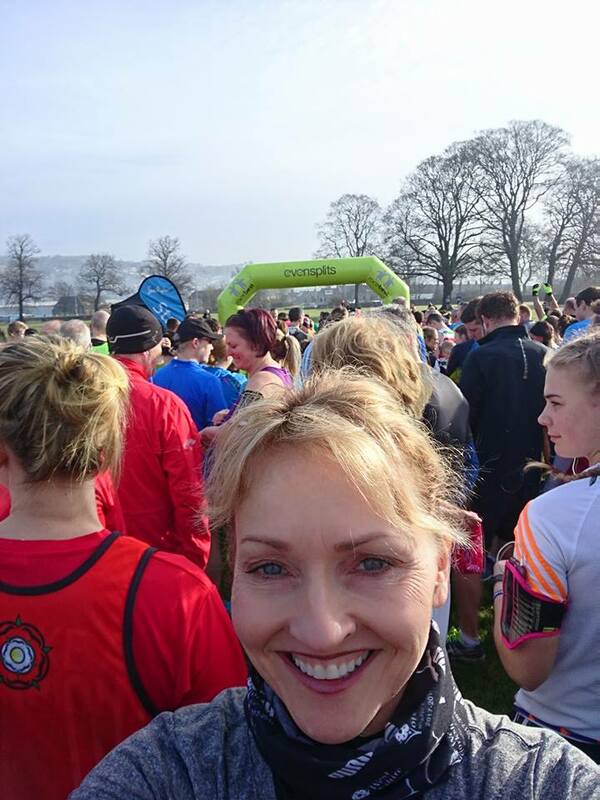 “A great race,” she said, “well organised, and food, drink (and loos) at the start and finish. Variety of on and off road, uphill and down.” What’s not to like? !